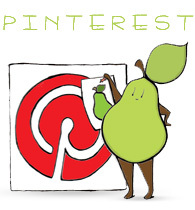 Categories: pear people | Tags: cartoon, illustration, Pear, pear person, pear poetry, poem, poet, poetry | Permalink. He might be free for a pear-atry reading if you needed an extra poet! Oh..that was just too cute for words…thanks for the laugh. Hahaha… Mad as a hatter!